Looks kind of hopeless. As I post this, the little shed you see to the right in the above photo is being dismantled, and that big pile of concrete is waiting to be loaded onto a dump truck that has yet to arrive. If you’re wondering what that white pickup truck and trailer are doing in the alley, all I can say is that I hope that Mary and John understand that furniture is either being moved in or out of their house. 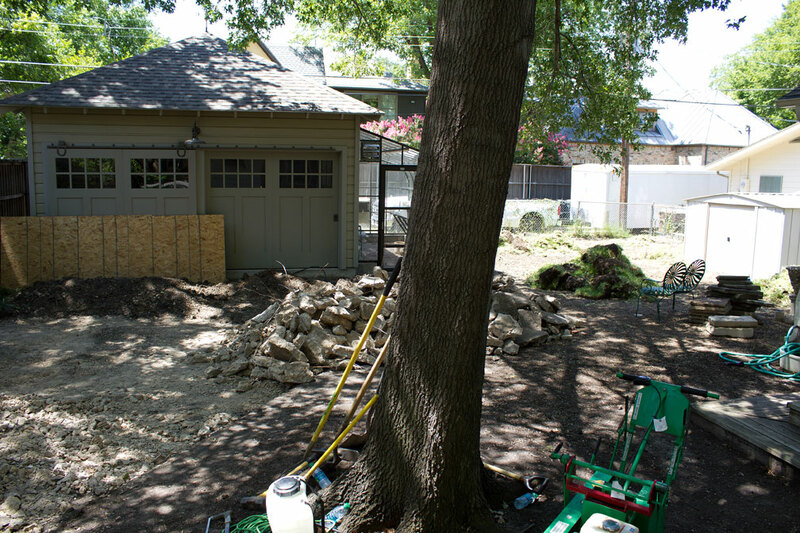 on a home project, that’s what I call ‘breaking ground’! Excellent!! Excellent progress. It always looks so much worse before it gets better. I always think tear-out is kind of fun–a clean slate before the new. Margaret, my poor dogs have lost their favorite sniffing and piffing spots, and will soon be deprived of their old moldy wooden deck.